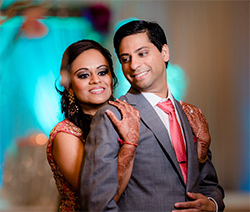 Tejas Patel, 33, and Neha Patel, 34 dated for two years before tying the knot in March 2017. 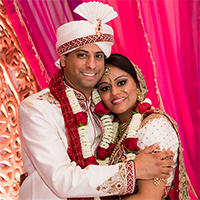 Tejas, a computer engineer, and Neha, a clinical pharmacist, met via Shadi.com in 2015. After exchanging pleasantries, the two met and continued to meet every month. It wasn’t long before the couple realized they were in love. 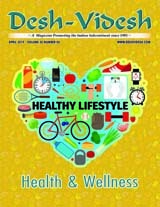 Neha’s family lives in London and were bowled over by Tejas’ well-mannered and polite nature. Beginning the summer of 2016, the two began discussing plans to get married. On one occasion, when they met Neha had her nails perfectly manicured, in case Tejas proposed. It turns out the elusive proposal didn’t happen until November. “I was expecting a surprise engagement and ring, but the engineer in him wanted to pick out a ring that I would like,” said Neha. She added Tejas took several months to choose a ring based on her likes and dislikes. 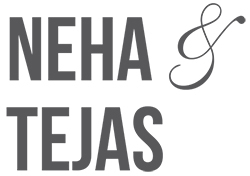 Tejas finally popped the question to Neha after flying her parents out to his childhood home. He proposed on a bridge in a park as his sisters and brother-in-law took pictures. 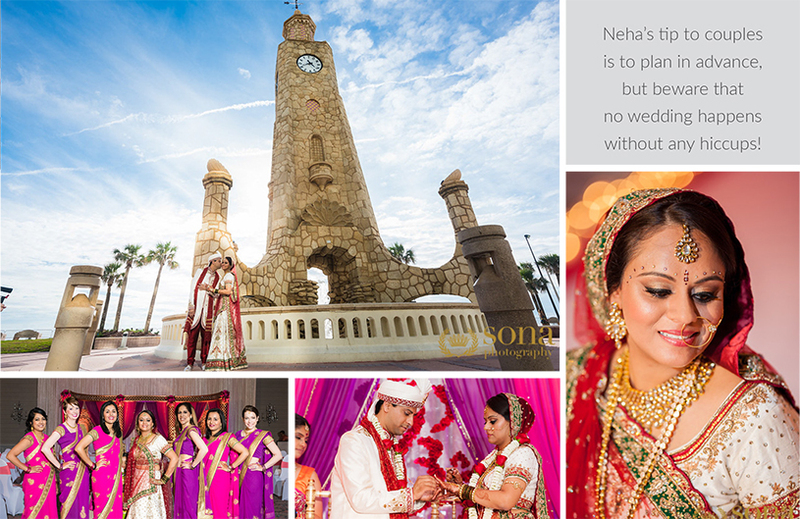 Neha didn’t hire a wedding planner for their destination wedding. After reviewing several locations, she zeroed in on the Hilton Daytona Beach Oceanfront Resort in Florida, for its nice beach and large and gorgeous ballroom. 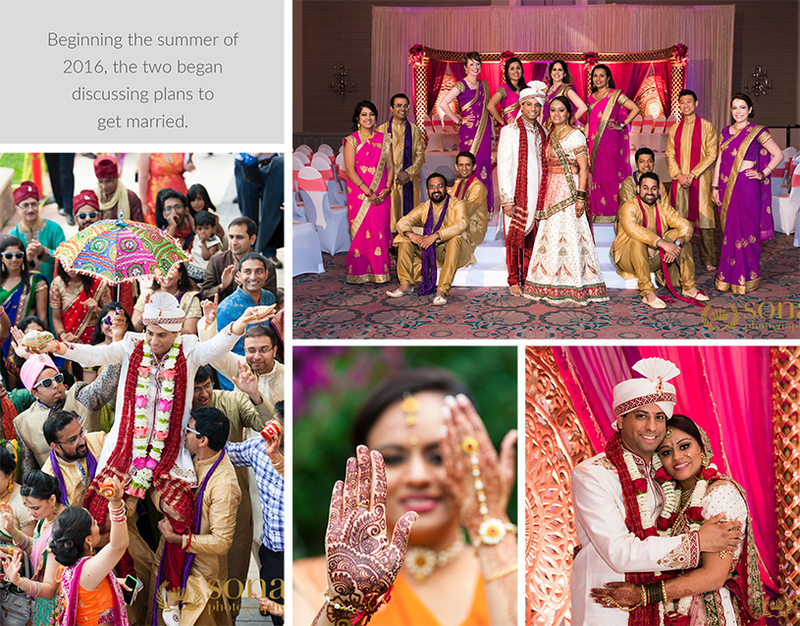 The couple’s 350 guests enjoyed a “big fat Indian beach wedding.” The pre-wedding events consisted of a mehndi, vidhi, and joint welcome dinner. The mehndi was peacock-themed, in sync with Neha’s lehenga. 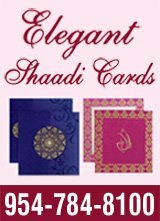 For the wedding there was an open mandap, and the colors matched the saris of the bridesmaids, magenta and fuchsia, while the groomsmen wore matching dupattas. 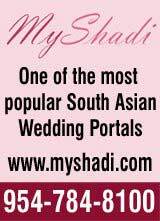 The groom’s floral necklace included fuchsia, magenta and coral flowers. The wedding necklaces were red and white to match their outfits as well as the hanging Ganesha. Guests were welcomed by Ganesha and Radha-Krishna idols welcomed the guests. Floating candles and fuchsia petals adorned the raised aisle. Since it was a short walk, Tejas walked down to the hotel along with the baarat. The music was an upbeat mix of Indian and Western hits. 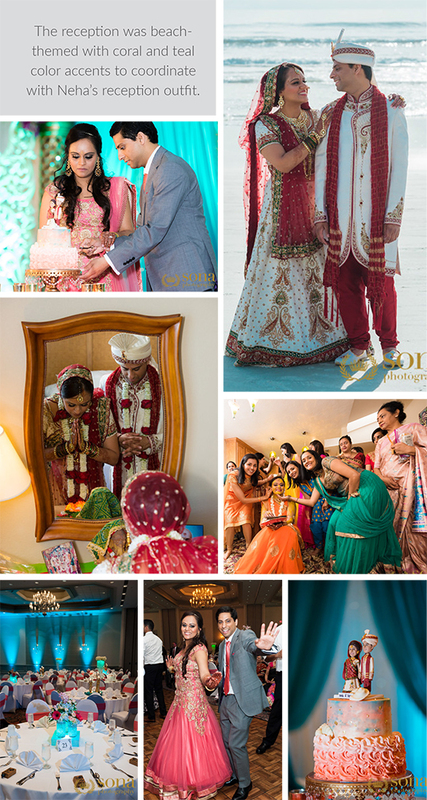 The reception was beach-themed with coral and teal color accents to coordinate with Neha’s reception outfit. The matching wedding cake was an eggless orange cake with chocolate filling and coconut cream. Its topper, miniature forms of Tejas and Neha, was shipped from Hong Kong. 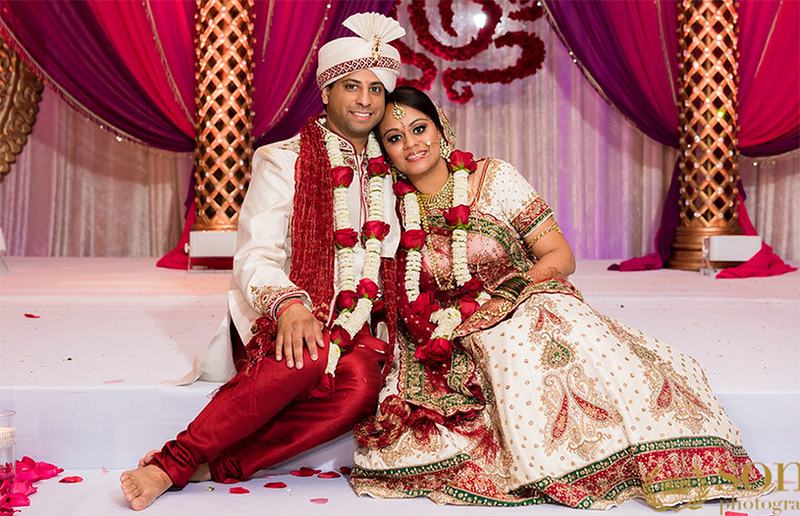 Neha’s tip to couples is to plan in advance, but beware that no wedding happens without any hiccups!